Last Tuesday was Mardi Gras, or Fat Tuesday, or Pancake Tuesday, and the list goes on. It marks the Lenten Season that starts with Ash Wednesday and lasts for 40 days. It’s been my family’s practice growing up that we don’t eat meat on Fridays during Lent, as with most Catholics, so I still abide by the practice to this day. For lunch today, I decided on sushi, so I returned to KK Sushi for some sashimi and a sushi roll. 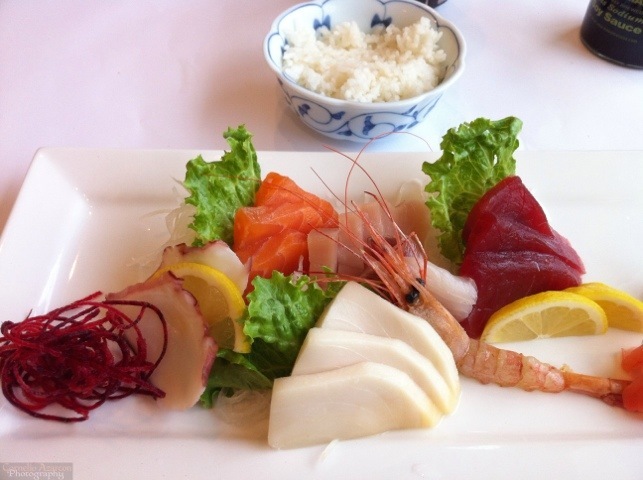 I ordered the Sashimi B platter ($12.99), which was an assortment of fresh fish slices chosen by the chef, and is accompanied by a bowl of rice. I’m a big fan of salmon, but the tuna is my favourite in this restaurant. 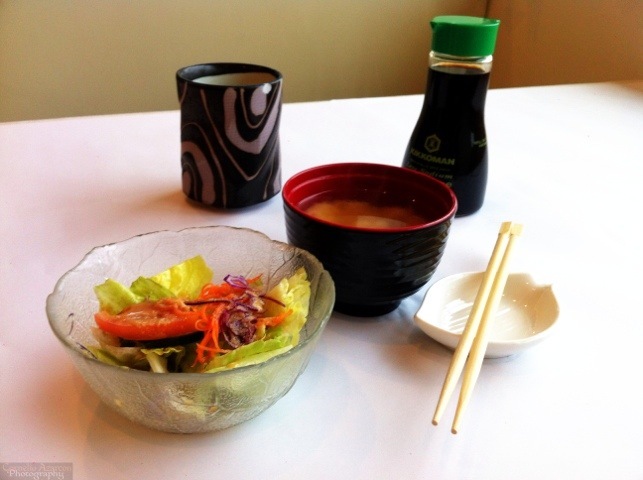 The meal comes with salad and miso soup. I also ordered one of their house rolls, the Eglinton Roll ($9.50), named after one of the main thoroughfares in Mississauga, which also intersects Dixie Road, where the restaurant is located. 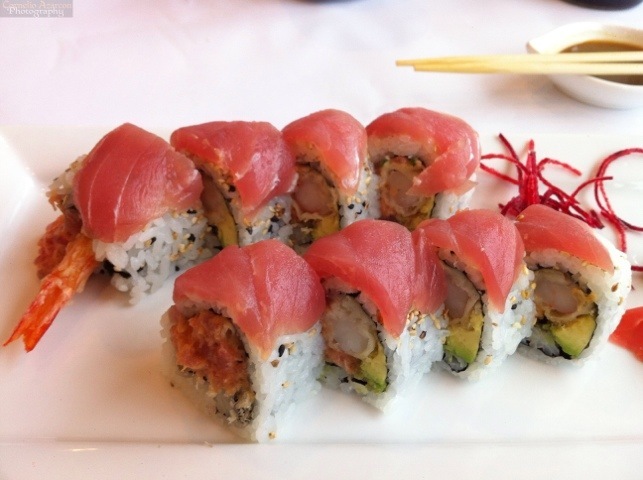 The roll is made with deep fried shrimp, spicy tuna, avocado, and topped with tuna. It is quite enjoyable. Mmm sushi!! Looks so good!